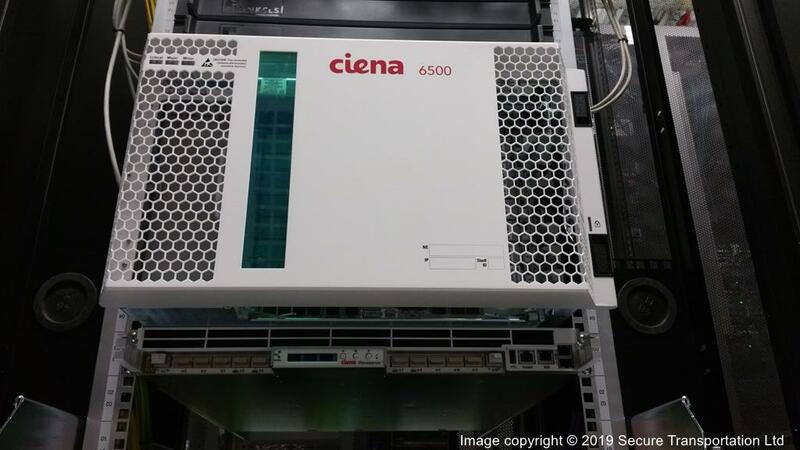 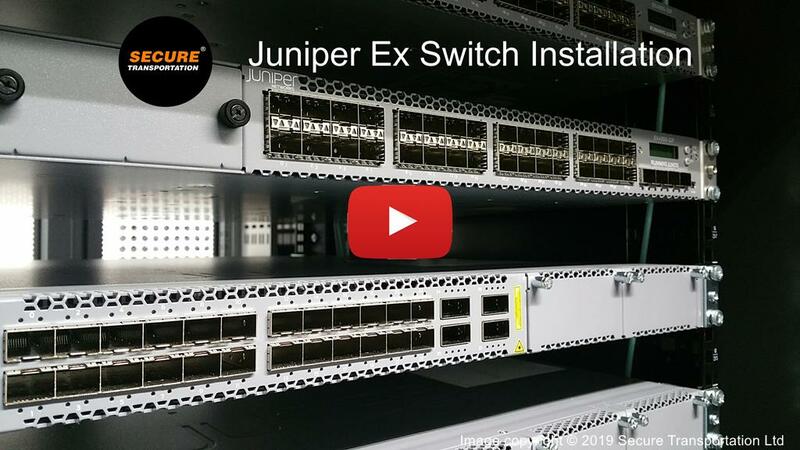 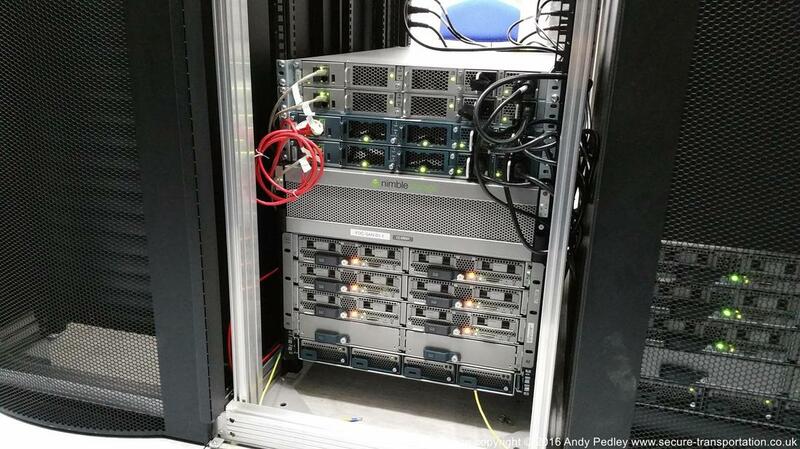 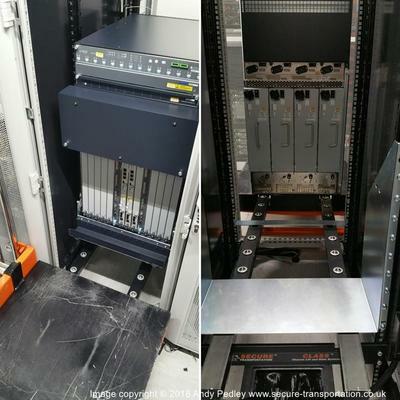 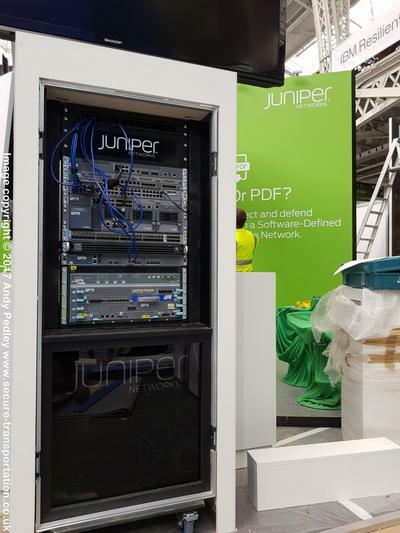 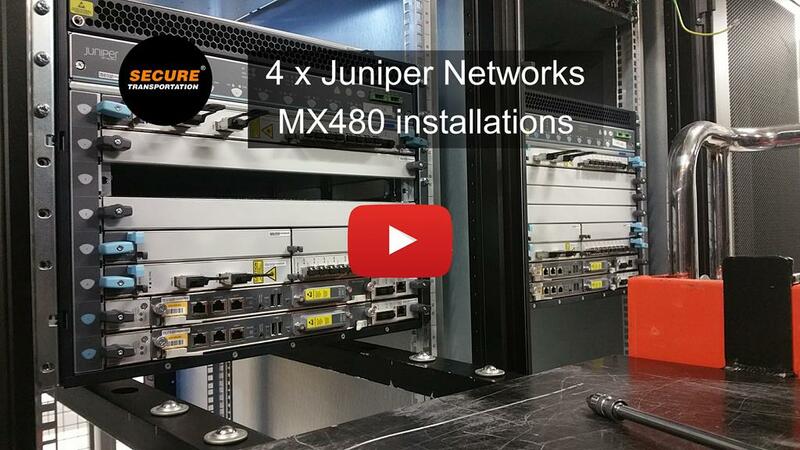 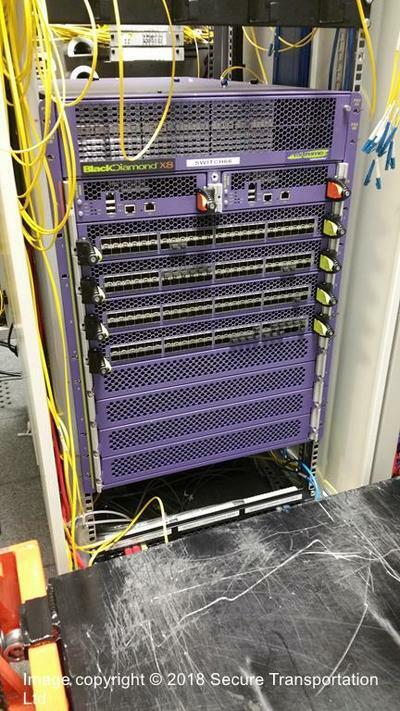 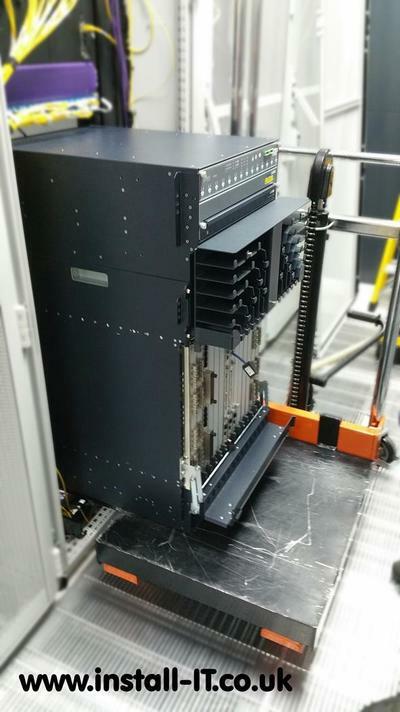 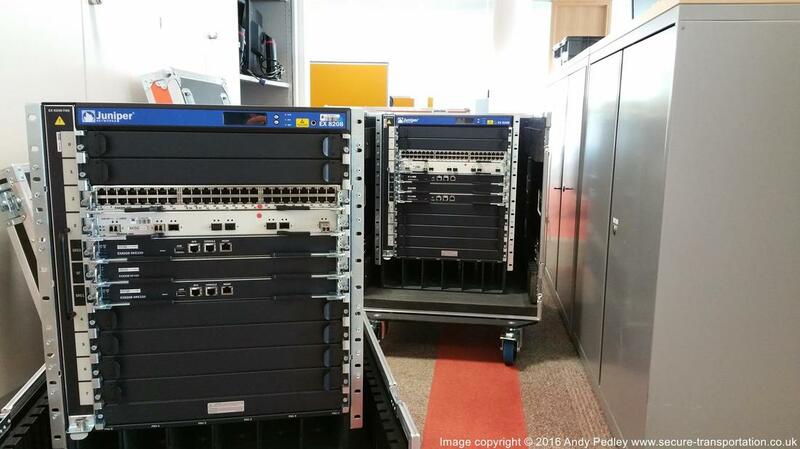 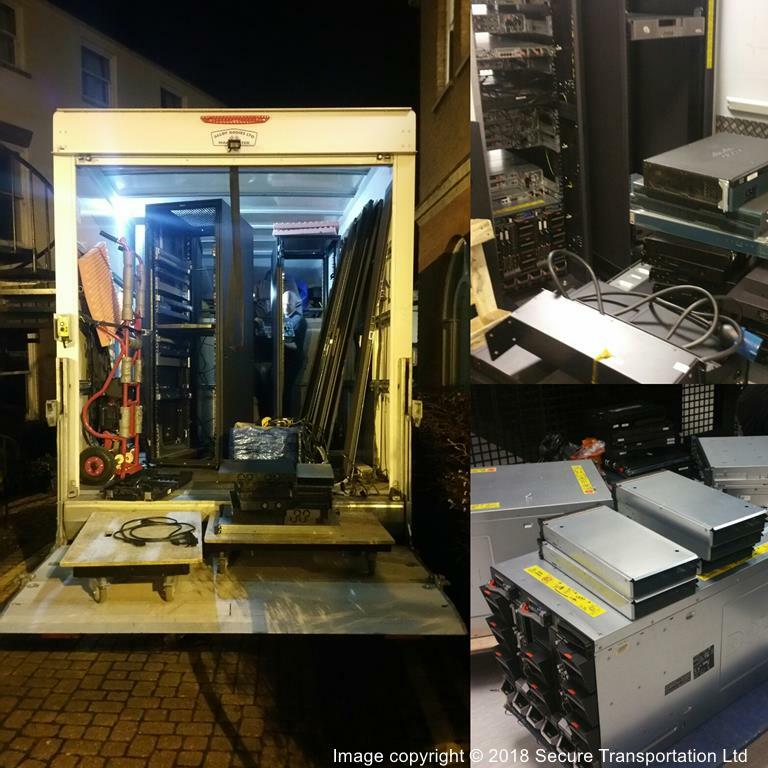 We work alongside Project Managers and Network Engineers de-racking, transporting and then re-racking IT equipment across multiple brands, overcoming any obstacles along the way from delivery kerbside to the installation point. 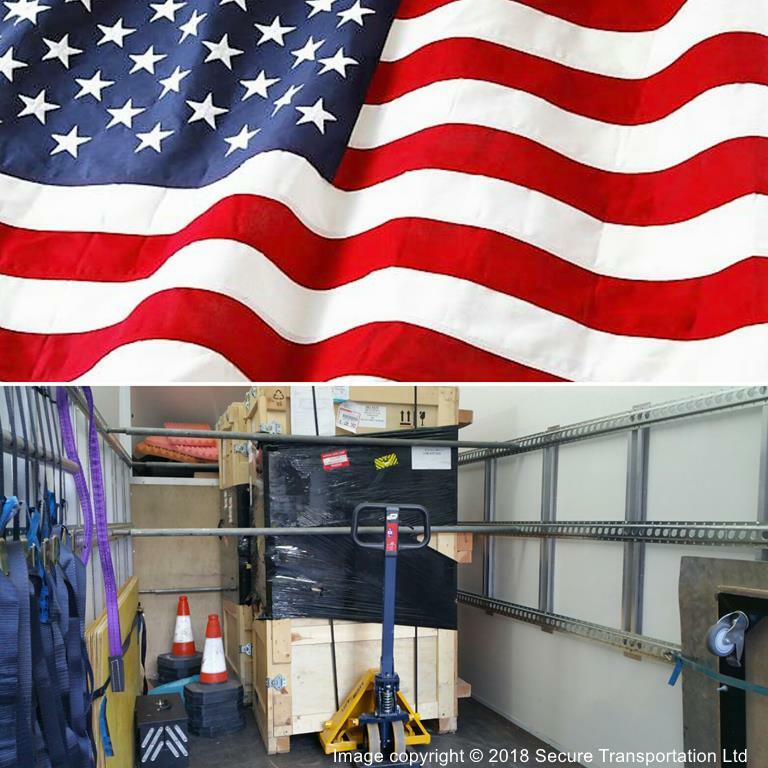 With hands on logistical knowledge and an industry leading bespoke marine cargo insurance policy for both transportation and installation we come highly recommended. 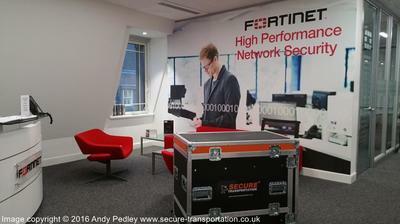 Strategically situated close to London Heathrow Airport we cover all of the UK and Europe. 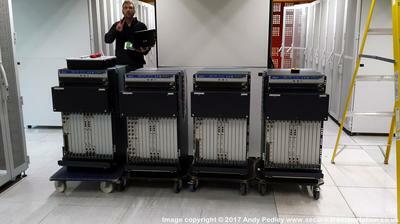 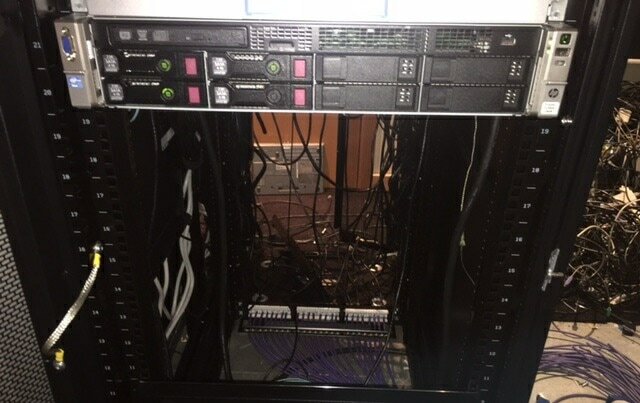 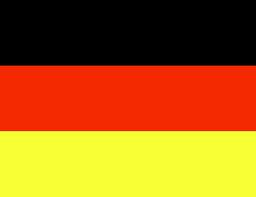 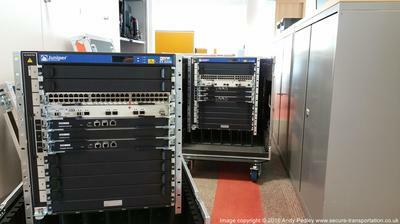 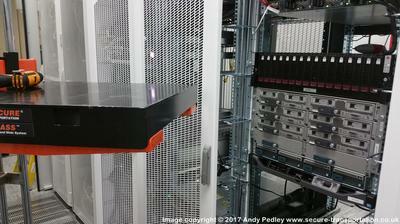 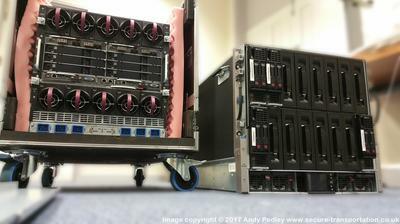 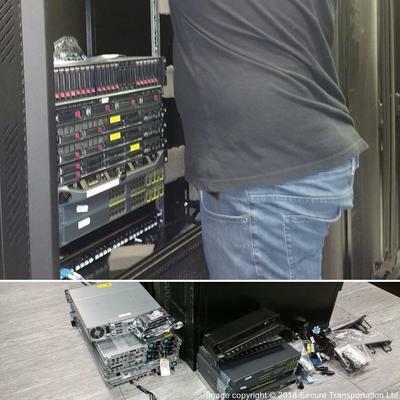 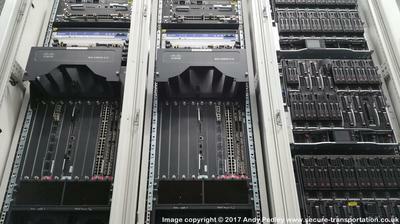 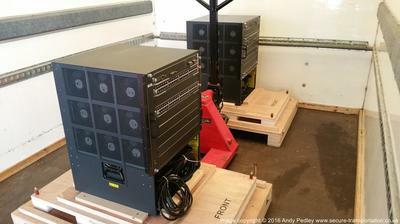 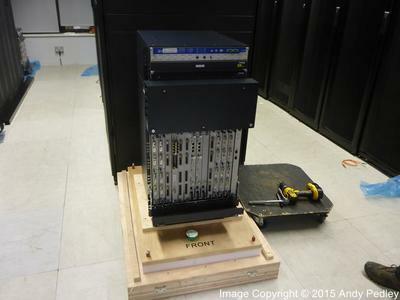 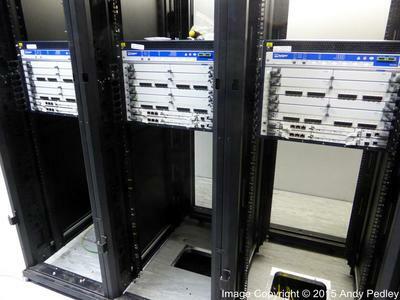 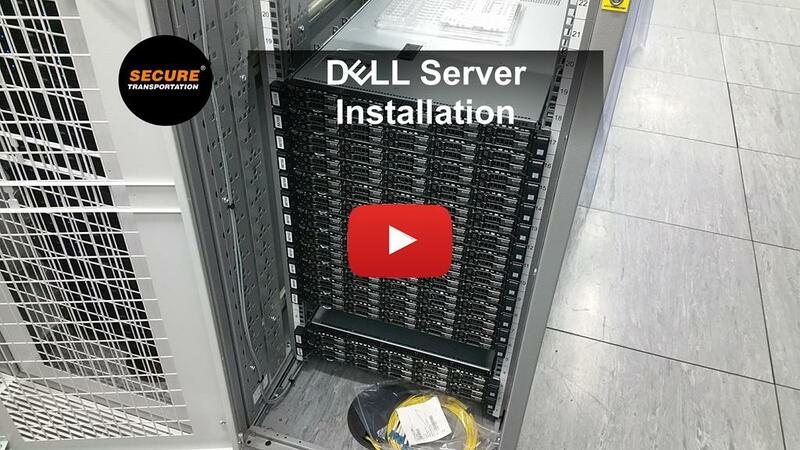 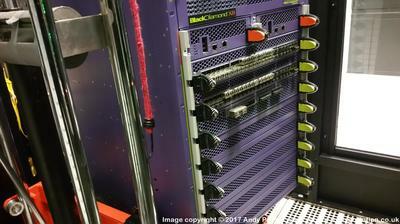 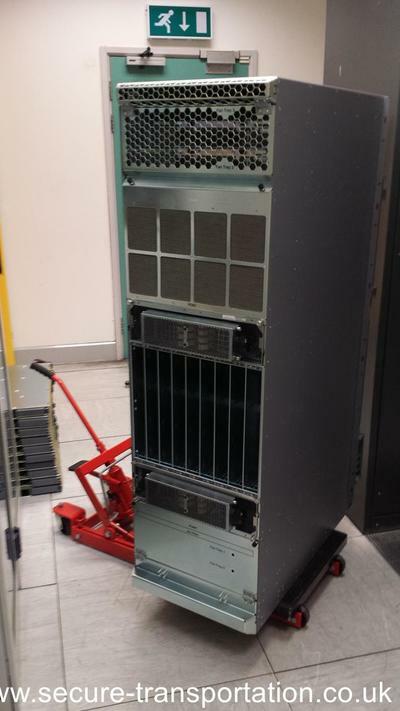 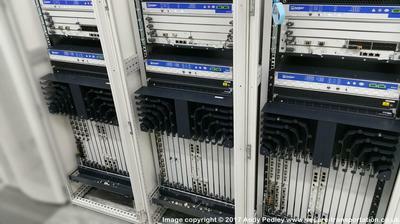 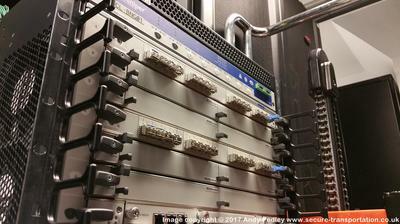 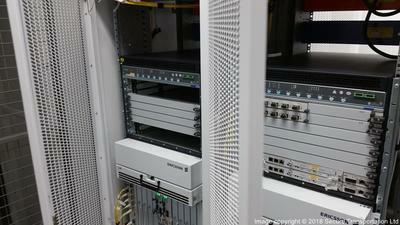 Server relocation, IT installations, de-rack and re-rack. 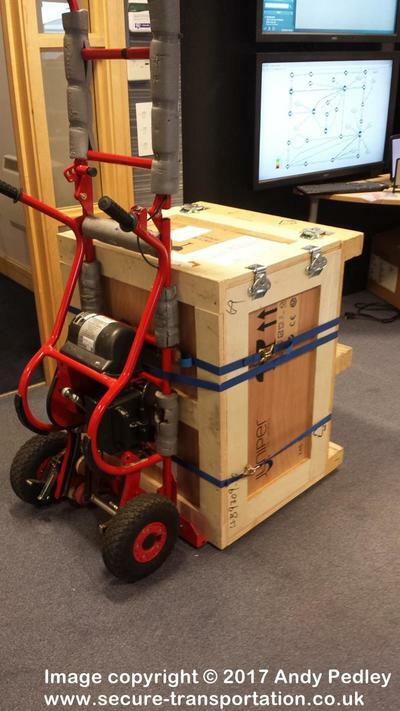 Specialist handling and lifting equipment. 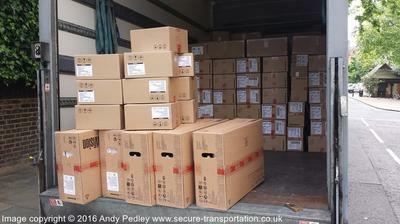 Range of vehicles with air ride suspension. 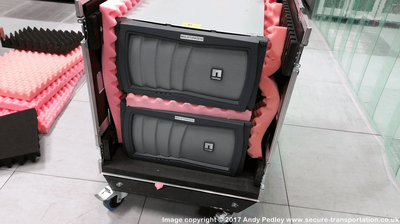 Custom flight cases for complete protection whilst in transit. 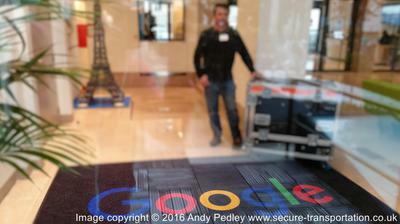 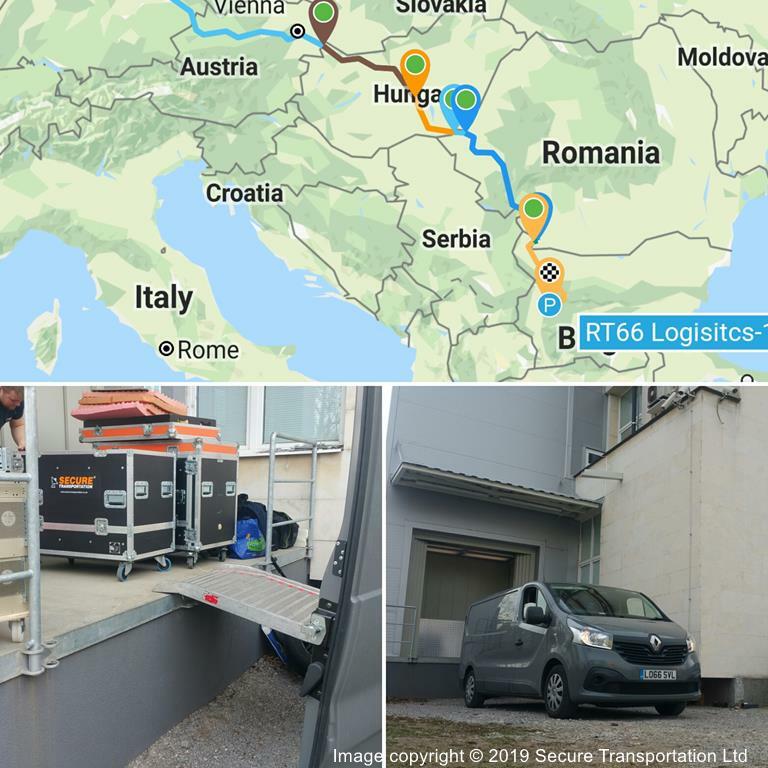 ​S​ecure transport ensuring compliance with the GDPR. 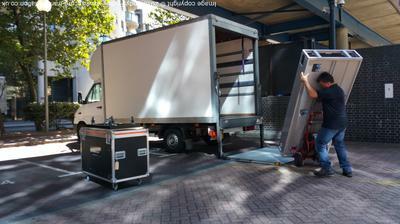 Optional insurance for transportation and installation. 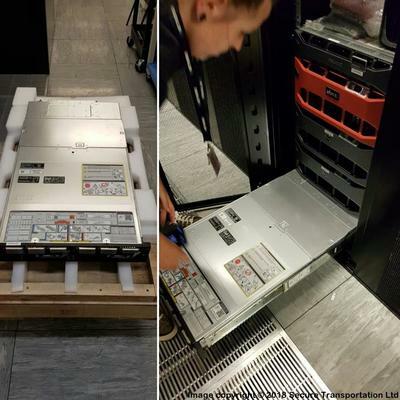 ​Whether you need a 19” computer rack moved up a flight of stairs or a 250 kg populated router, blade server de-racked and installed in one of our 19" shock mount flight case racks for safe transportation and then re-racked at the other end or just a single server relocation we have the necessary specialist handling equipment and expertise for the job. 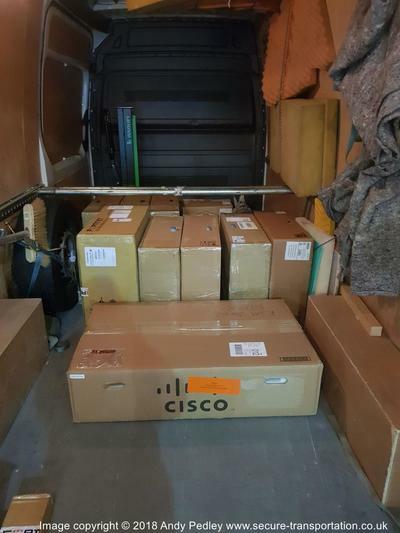 ​Our Renault Master Luton with 500kg tail lift and air ride suspension is capable of carrying up to 42u sized computer racks and is equipped with carpet tie rails, load lok at various heights either for use with spring loaded shoring poles or ratchet straps ensuring everything is safely secured. 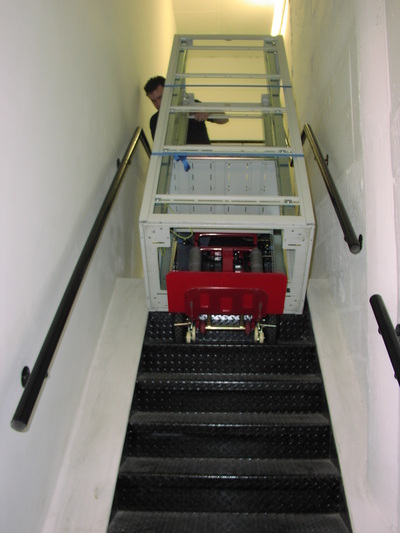 ​All our vehicles are ideally suited for that last mile delivery in urban environments where access can be an issue. 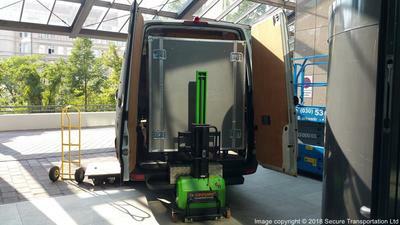 Our smallest Renault Trafic can even get in to underground car park with a 2.0 mtr height restriction, coupled with our 600 kg lift capacity self loading mobile fork truck this is the perfect solution for city centre installations anywhere in Europe. 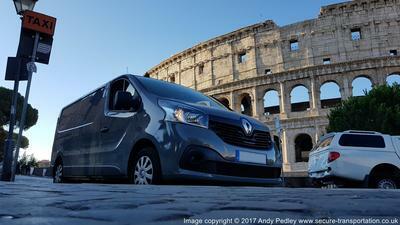 For all our vehicle specifications click here. 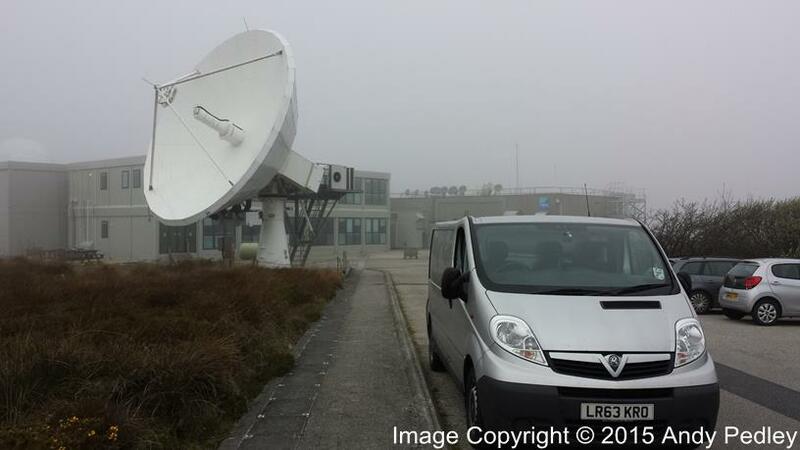 Vehicles are tracked down to street level anywhere in Europe. 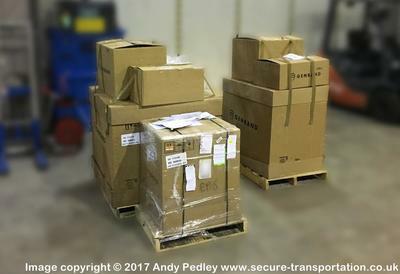 Secure Transportation Ltd has a comprehensive bespoke marine cargo insurance policy for both transportation and installation. 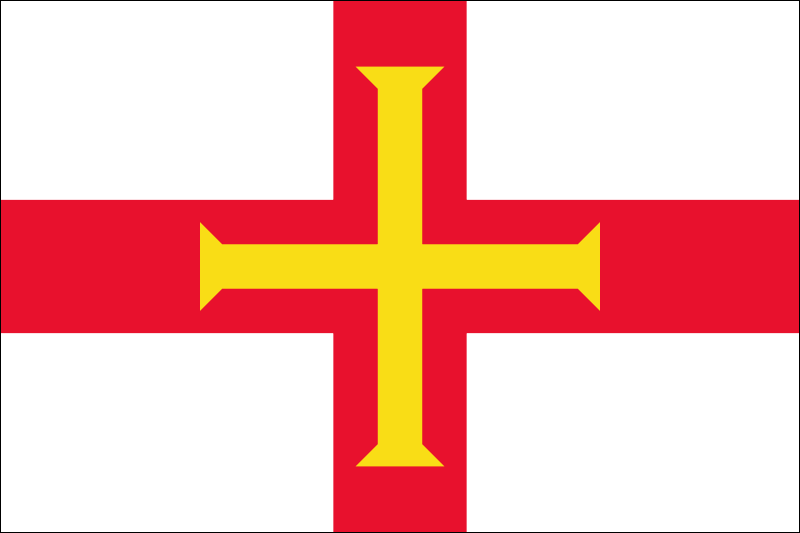 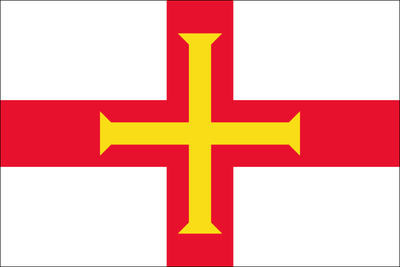 We can quote without referral from our underwriters up to £0.5m.For further details see our Insurance page. 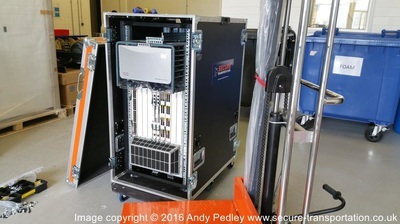 Secure Transportation Ltd are fully flexible and can get involved at whatever stage of the project you wish and with 3 unique levels of service to choose from or a complete bespoke solution tailored to suit your exact needs we can cope with anything from a single server relocation to a major network change involving the installation of 36u router. 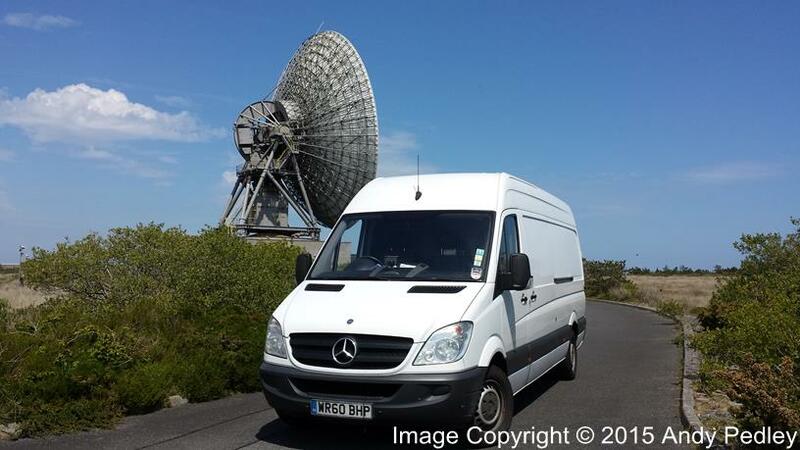 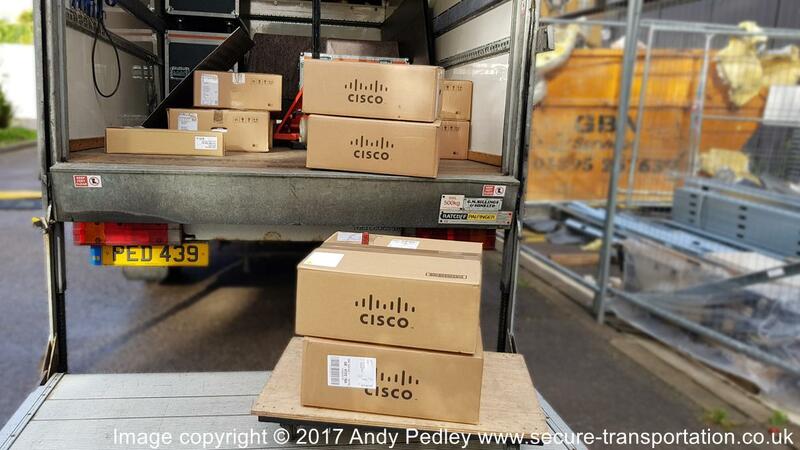 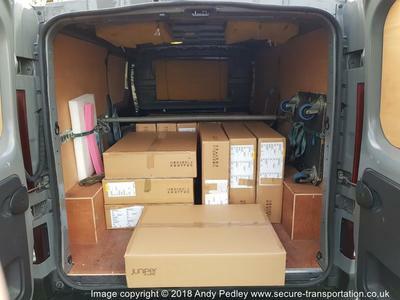 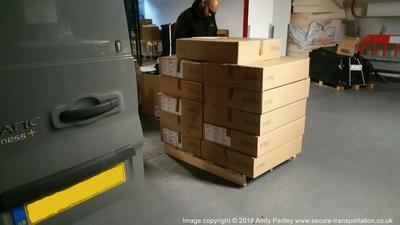 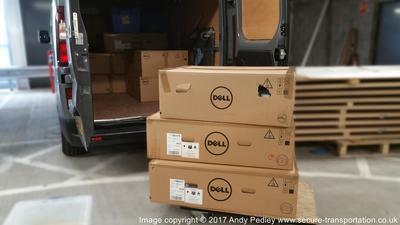 ​Secure Transportation's most basic level of service will have us pick up and transport from A to B your IT hardware, ranging from a single server to a fully populated router anywhere in the UK and European Union using the original manufacturers packaging. 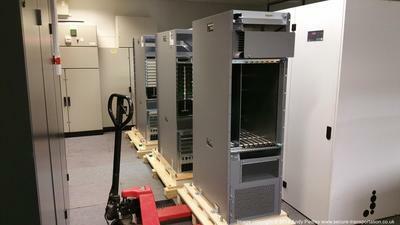 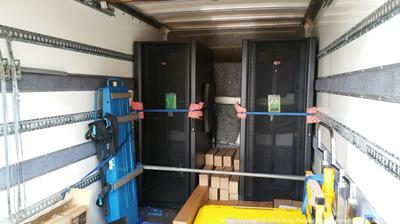 Perfect for new hardware roll outs and general relocation of IT equipment. 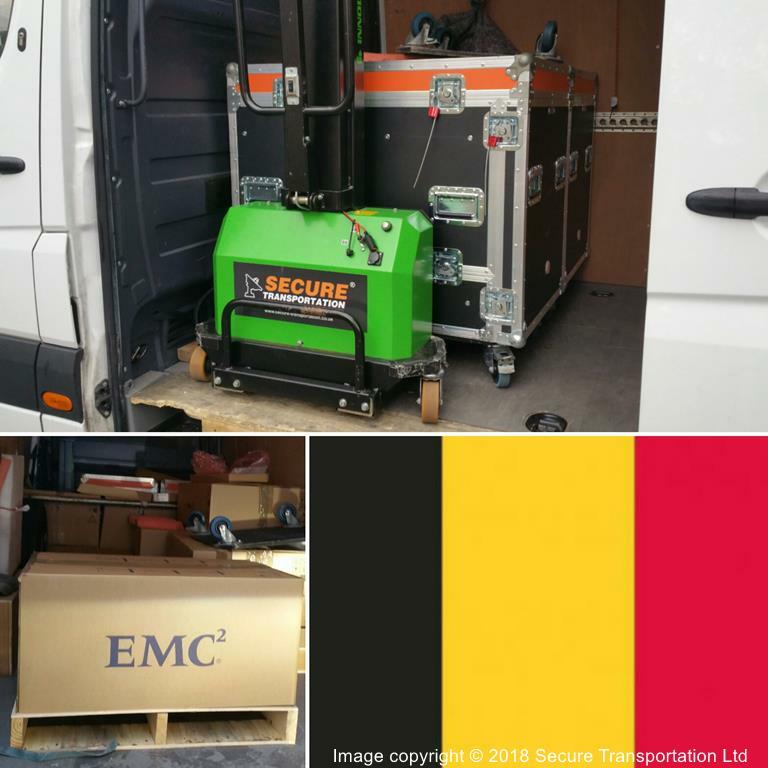 Secure transportation using our own vehicles. Secure vehicles with GPS tracking. 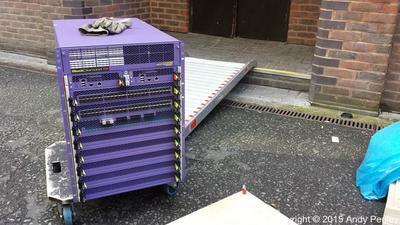 Thatcham approved alarms and deadlocks*, remote engine shut off. 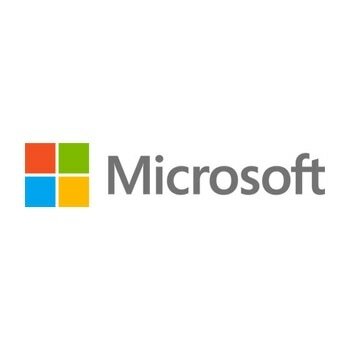 Ensuring compliance with the General Data Protection Regulation (GDPR). 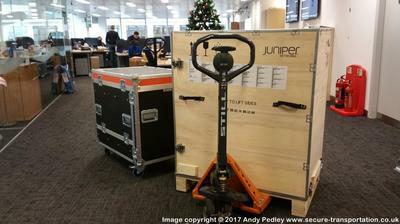 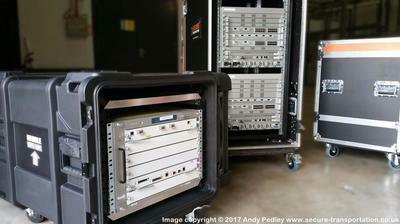 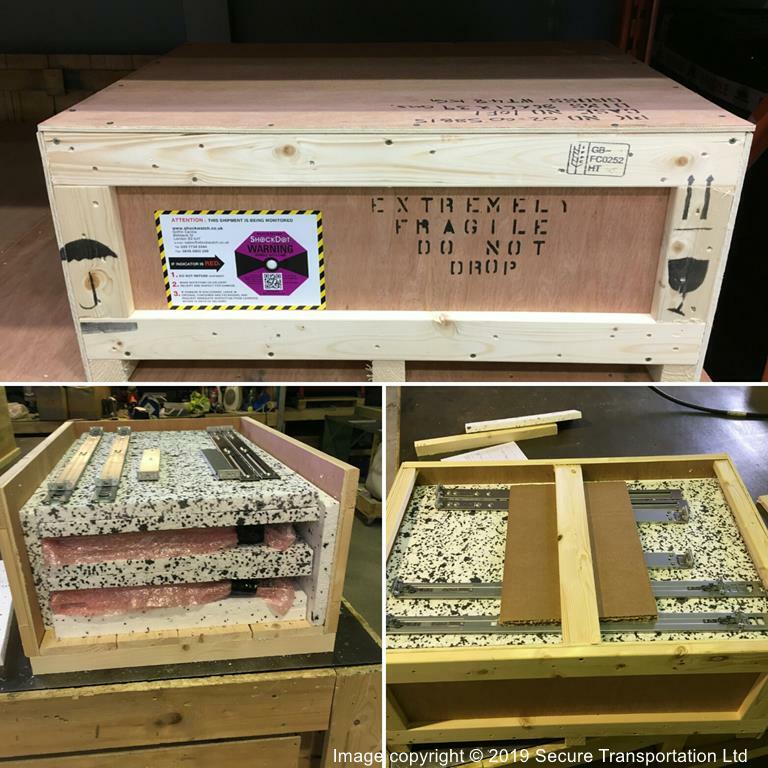 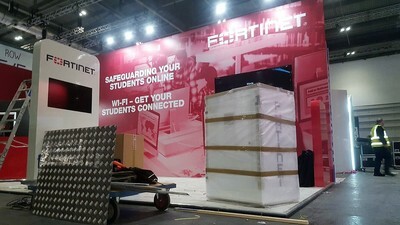 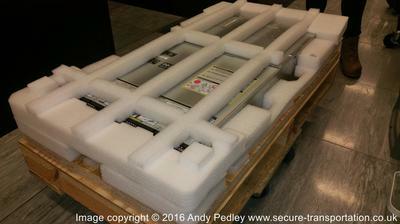 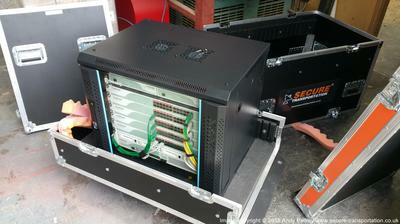 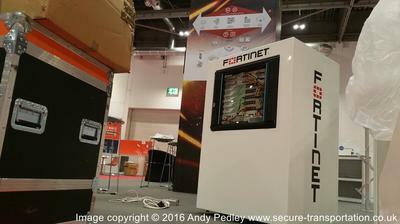 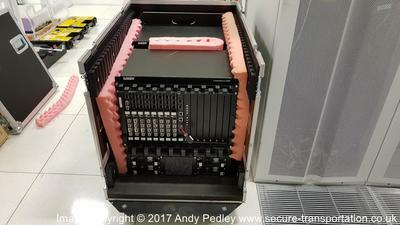 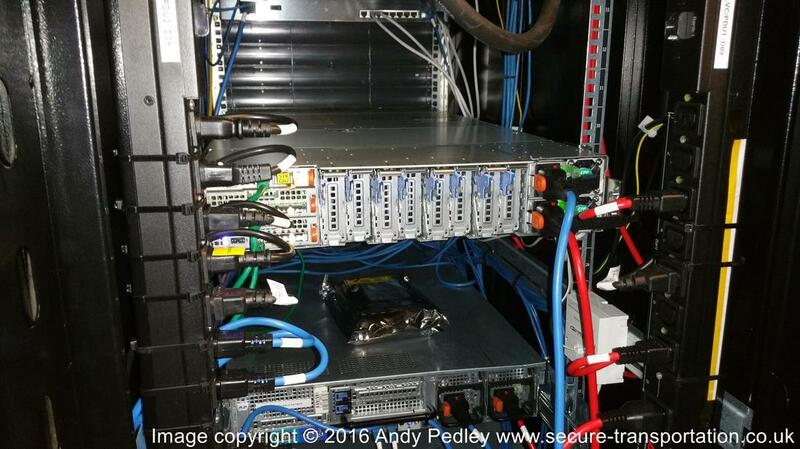 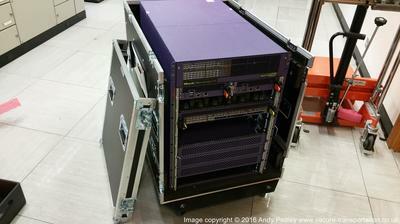 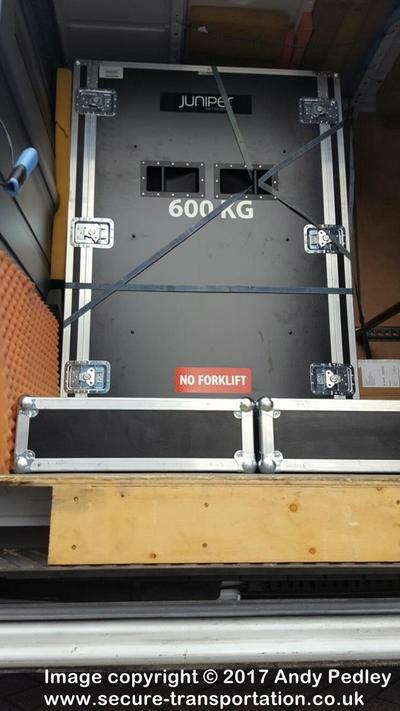 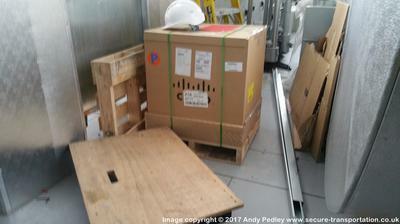 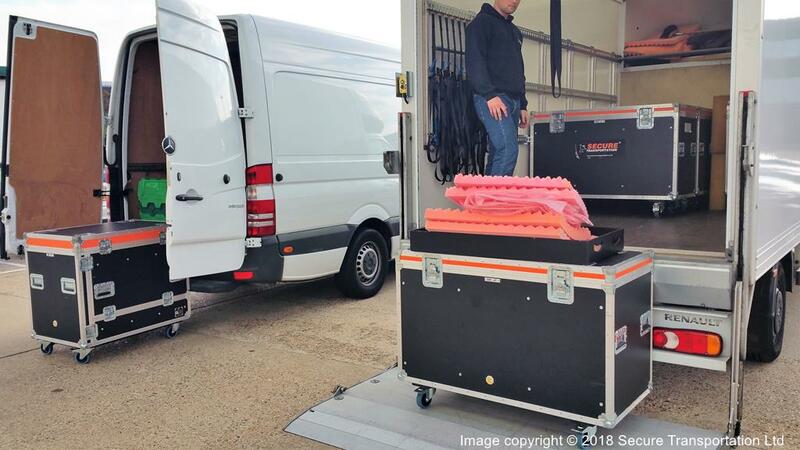 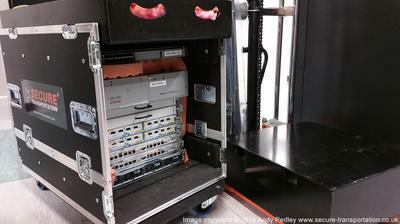 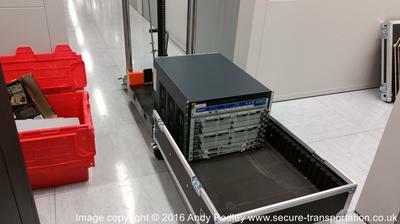 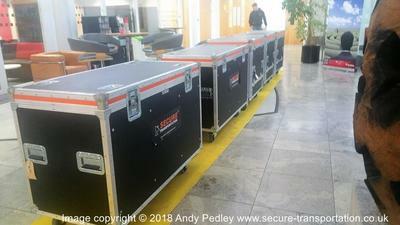 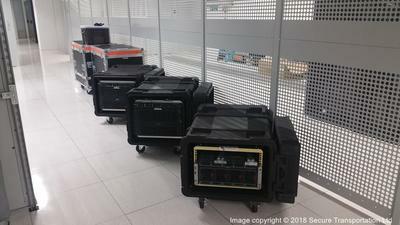 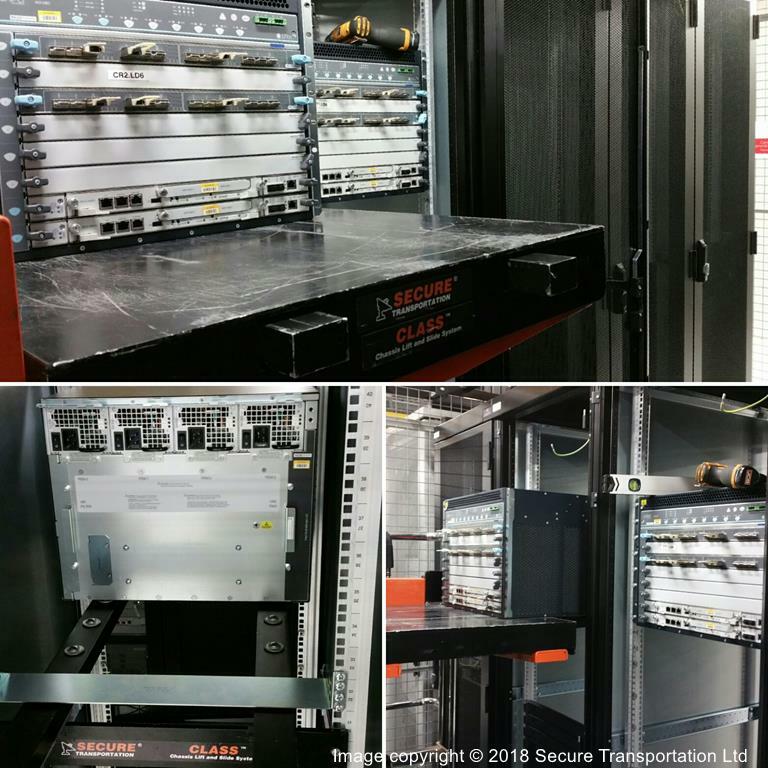 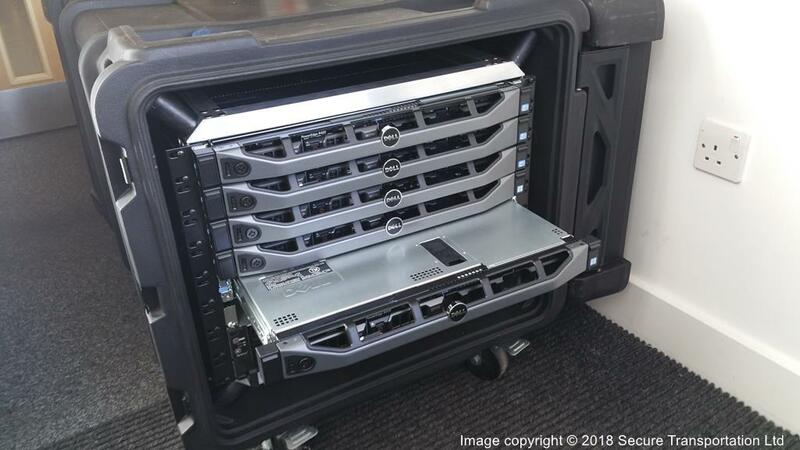 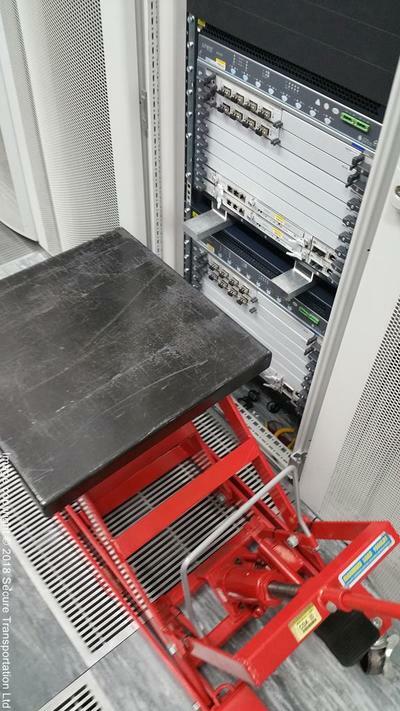 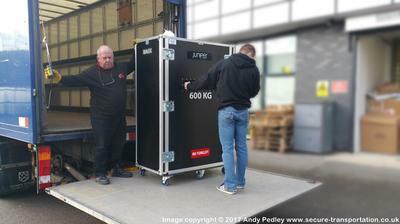 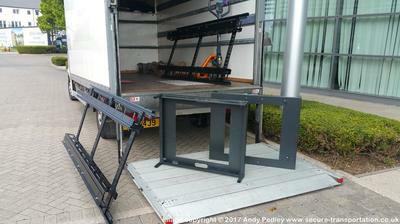 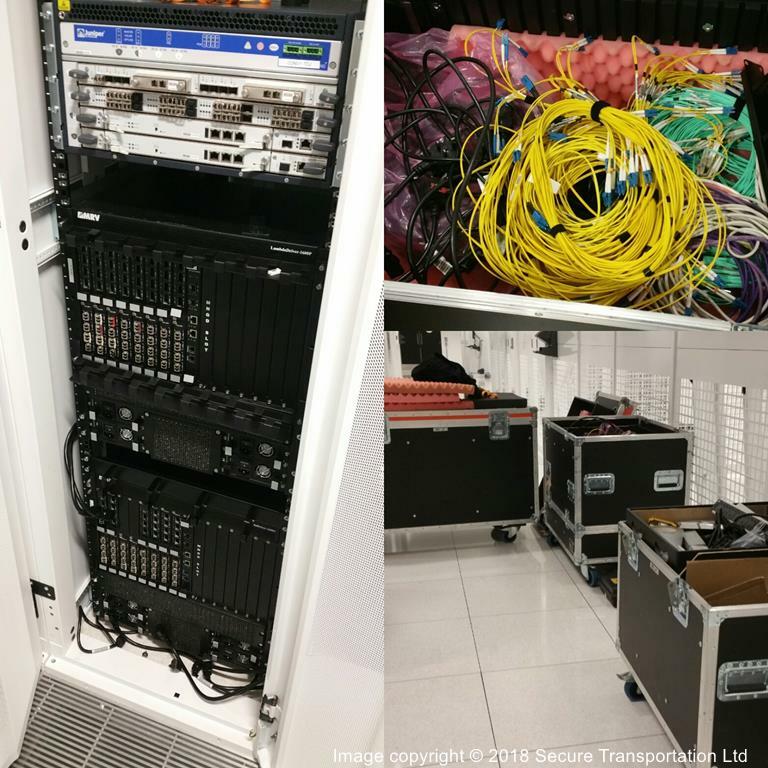 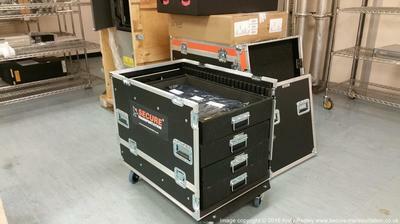 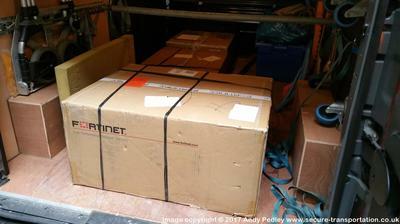 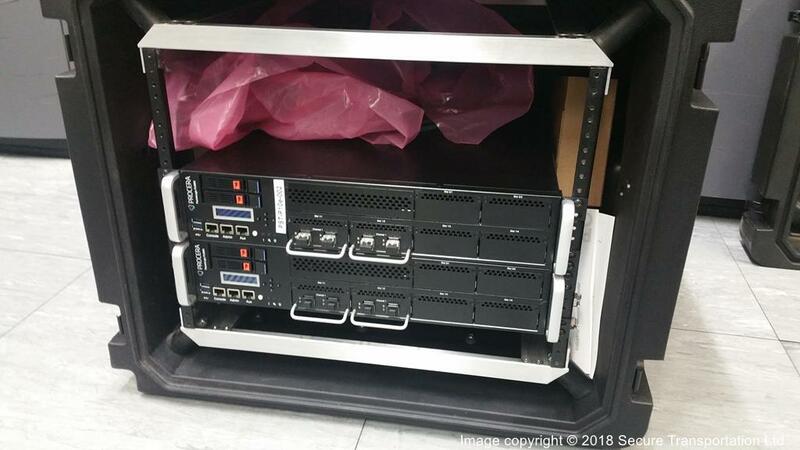 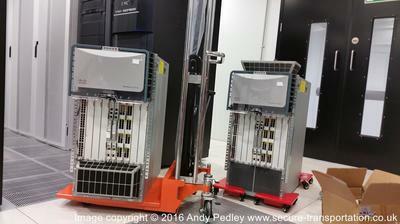 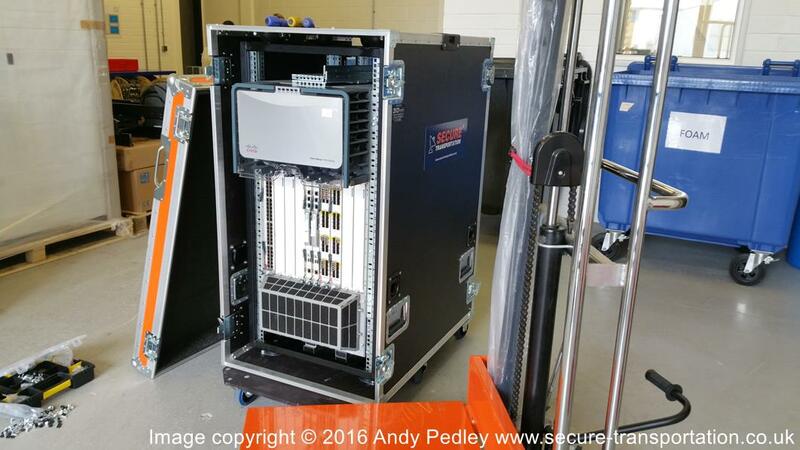 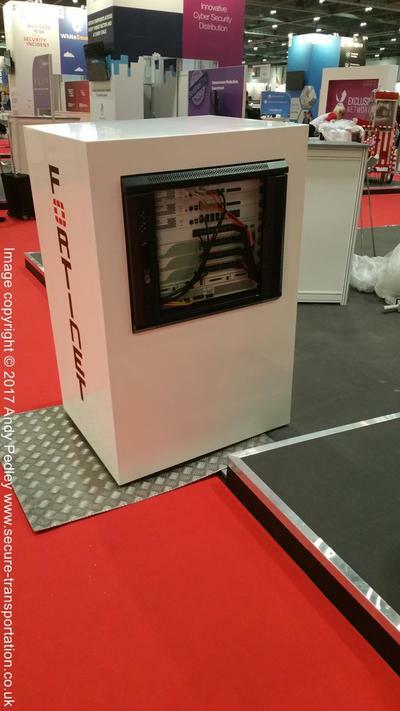 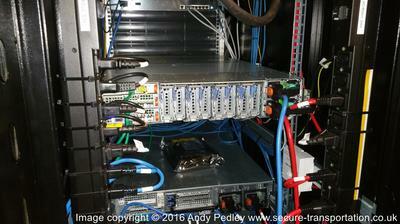 ​​Secure Transportation's intermediate level of service will provide our range of bespoke custom made shock mount flight cases and securely pack your IT equipment on site and transport anywhere in the UK and European Union. 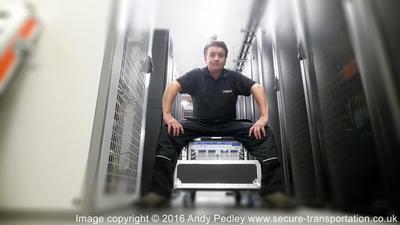 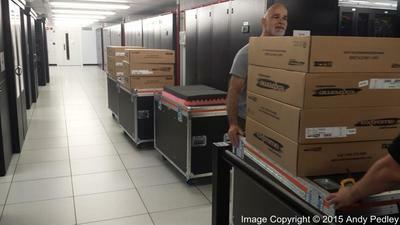 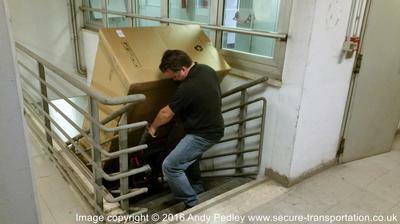 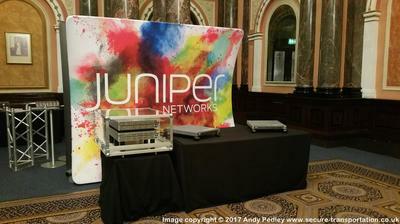 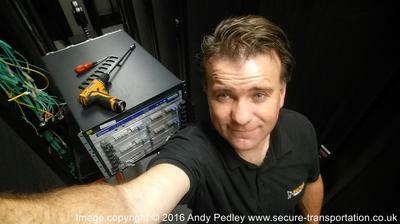 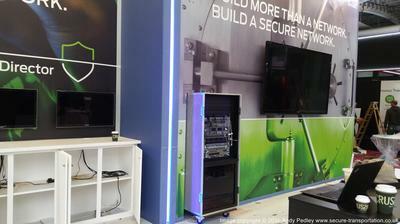 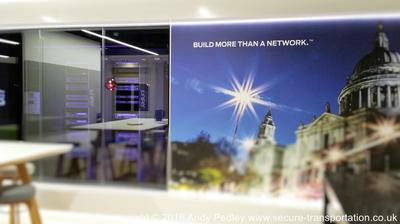 ​An ideal solution when your IT equipment is unpacked and needs a complete protection solution. 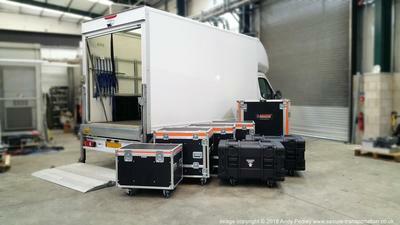 Custom made military spec shock mount flight cases. 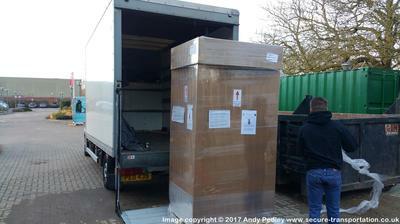 Whole range of packaging materials. 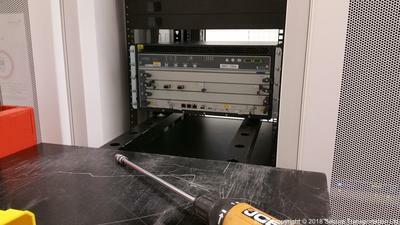 Single point of contact for duration of the job. 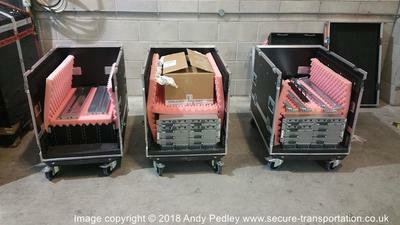 Additional manpower supplied if necessary. 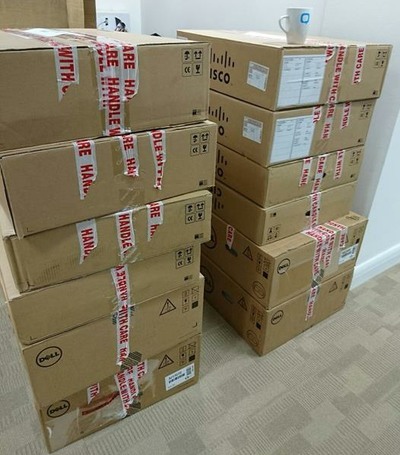 Cisco routers packed ready for transport. 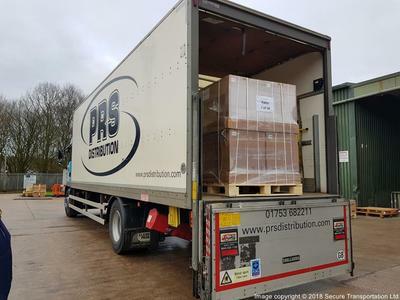 Our Premium service is a full de-rack and pack, securely transport anywhere in the UK & European Union and then re-rack at the other end using our range of bespoke hydraulic lifting and manual handling equipment. 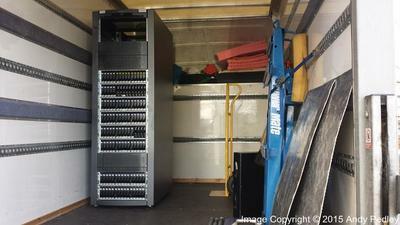 ​The complete solution for your IT hardware and server relocation projects. 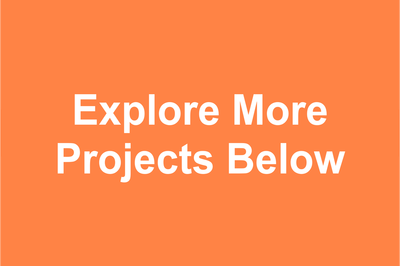 Full project management including site surveys and risk assessments. 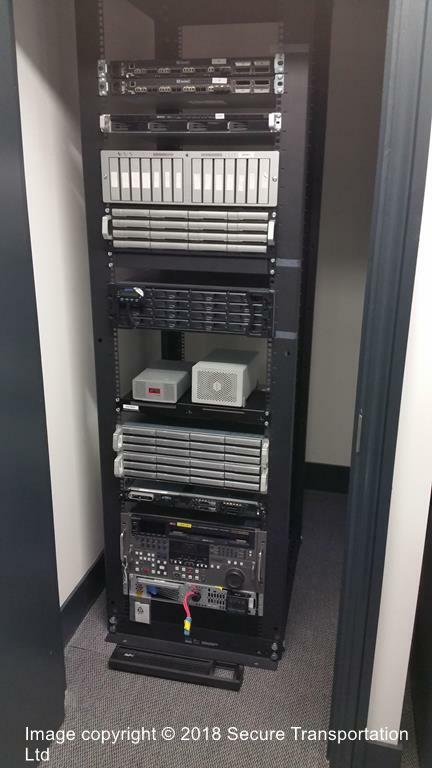 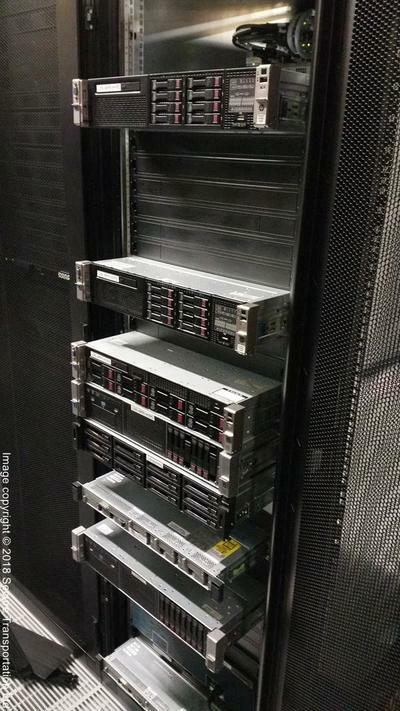 De-rack and re-rack of all IT hardware. 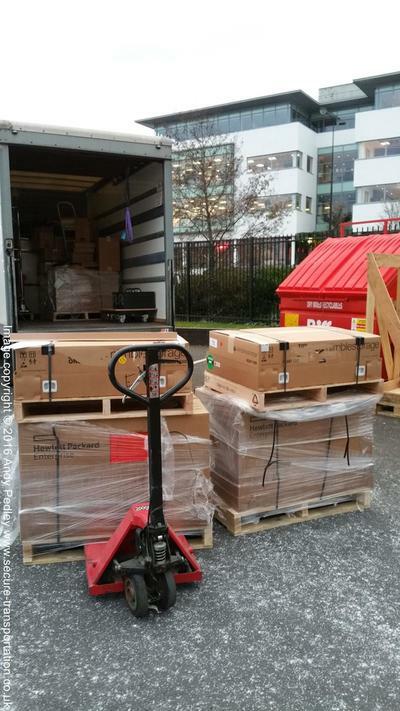 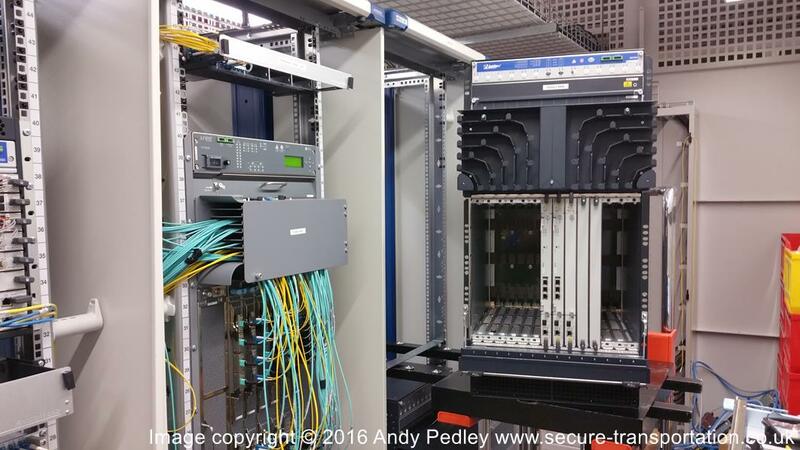 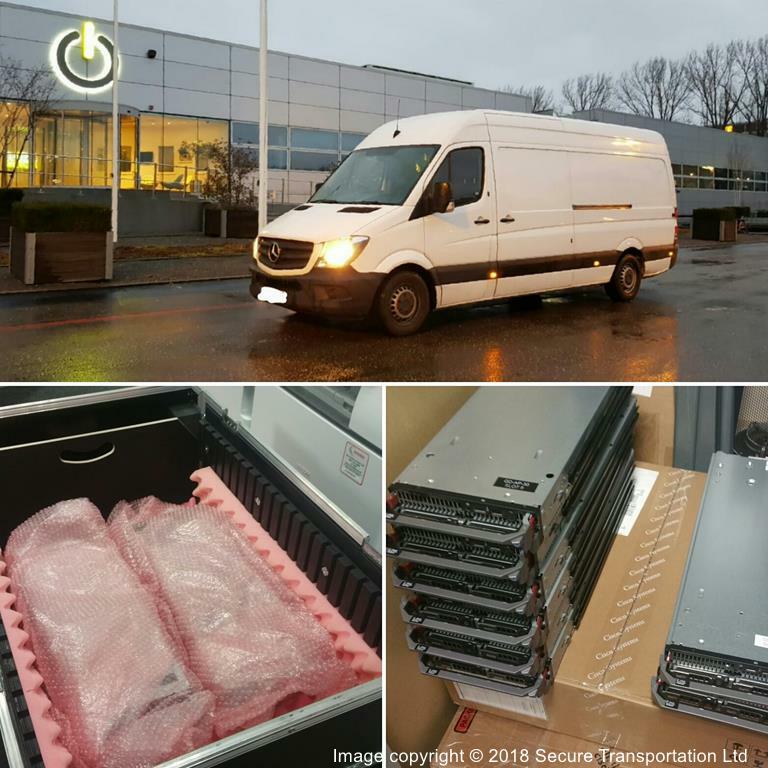 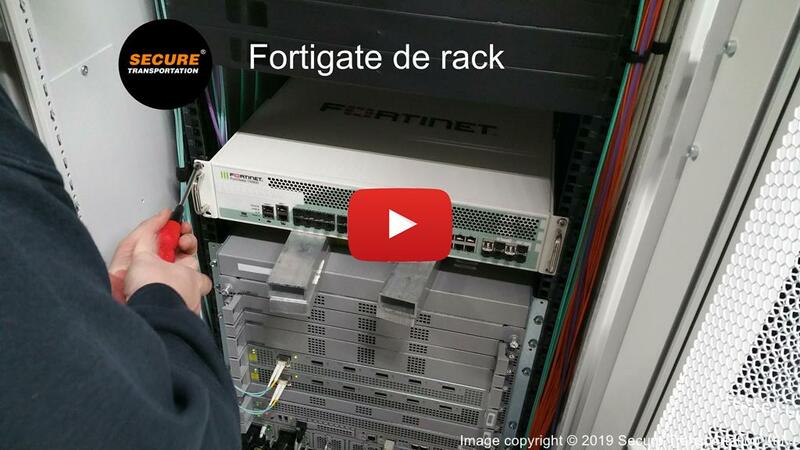 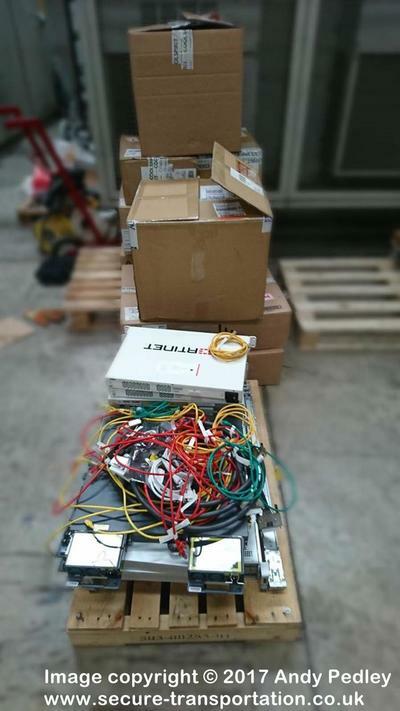 Secure Transportation's services are employed by companies of all sizes across Europe for the safe relocation, transportation and installation of IT equipment from a single server relocation to a large network router de/re rack. 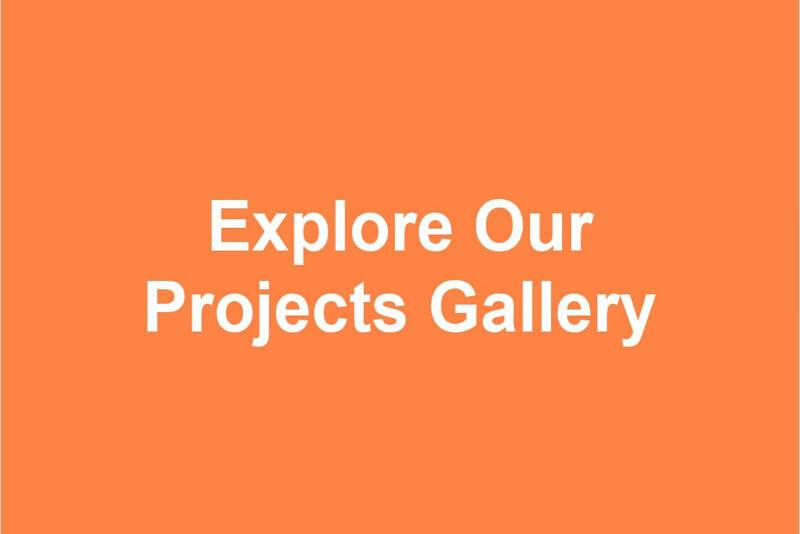 Here you can see a selection of projects through the years. 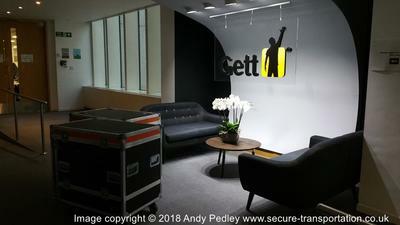 Want to carry out some due diligence then visit the LinkedIn page of one of Secure Transportation Ltd's Directors by clicking the image below or see our recommendations page.